WASHINGTON, D.C. — Karen Mills, the soon-to-depart administrator of the U.S. Small Business Administration, has tapped a fellow Mainer to take over as the agency’s acting chief, according to a letter Mills sent to her staff on Tuesday. 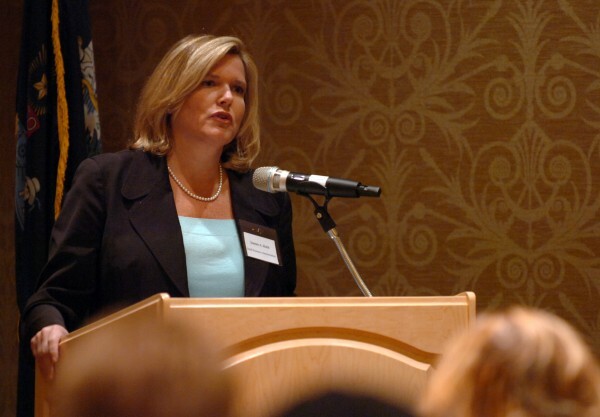 Jeanne Hulit, a former banker from Maine, will take over as acting administrator of the SBA, a cabinet-level post, upon Mill’s departure at the end of August, according to the letter, which was obtained by the Bangor Daily News. The news was first reported by The Washington Post. Since February 2012, Hulit has been the SBA’s associate administrator and head of its Office of Capital Access in Washington, D.C. Before that she was the SBA’s administrator of the New England region. Hulit, a Falmouth resident, is a former senior vice president for commercial lending at Citizens Bank and a past official at the Maine Department of Economic and Community Development, according to the letter. “Thanks to her accomplishments at SBA and in the private sector, Jeanne brings extensive knowledge and a unique understanding of the agency and its mission to her new position,” Mills wrote in her letter. Hulit has “led the charge” on streamlining the SBA’s loan programs and expanding small businesses’ access to capital. “Under her leadership, the agency and America’s 28 million small businesses will be in good hands,” Mills wrote. Mills, who moved to Brunswick in 2001 and is married to Bowdoin College President Barry Mills, announced in February that she would step down from her position as the head of the SBA, a position she has held since being confirmed in April 2009. The Washington Post reported that she is accepting positions at both Harvard Business School and Harvard’s Kennedy School of Government. The permanent head of the SBA will be filled by a presidential nominee, who would require Senate confirmation. “We continue to work closely with the White House on the appointment of my permanent successor,” Mills wrote. U.S. Rep. Chellie Pingree said she’s sorry to see Mills leave the SBA, but is pleased Hulit will step into the leadership position.